A doctoral course organised by Dr. Donna McCormack at the Centre for Women’s and Gender Research (SKOK), University of Bergen (Norway), in collaboration with the University of Leeds (UK), the University of Cape Town (South Africa), the University of Johannesburg (South Africa) and the University of Linköping (Sweden). On the 1st and 2nd June, Dr. Donna McCormack, from the School of English and Languages, will organise a doctoral course which brings together medicine and the humanities to explore issues concerning postcolonialism, gender and social justice. This course will be taught by international researchers and practitioners who specialise in the medical humanities. The emphasis will be on the intersections of disciplinary concerns, and will focus on areas such as transplantation and biotechnologies, indigeneity, patient and practitioner engagement, colonialism, HIV, and global inequalities. 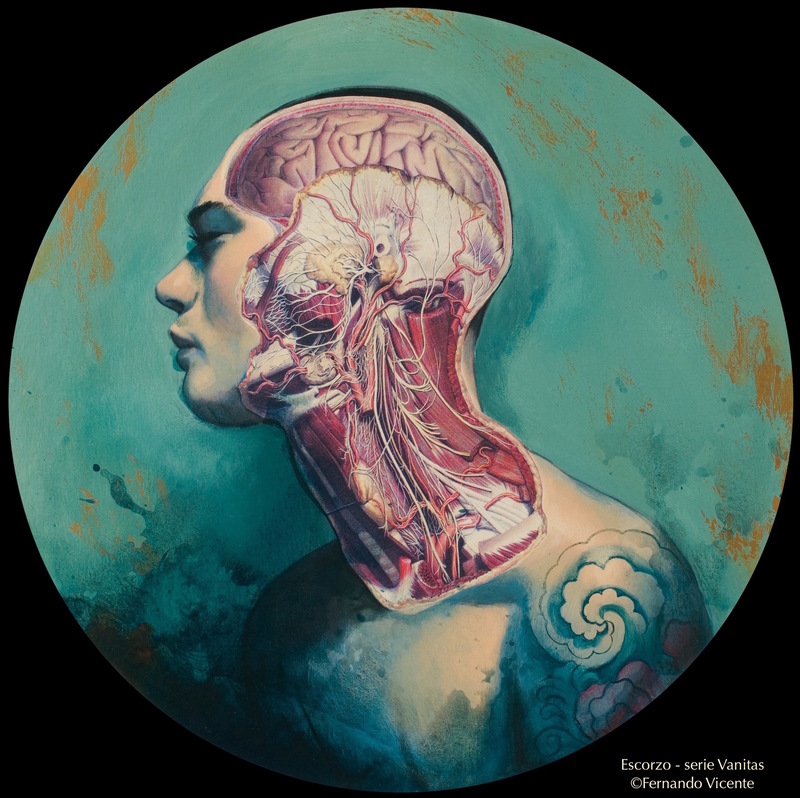 We are very grateful to the artist Fernando Vicente for allowing us to use his beautiful image that captures our focus on art, embodiment and technologies in a global context. Below is a detailed description of the course. All are welcome. The doctoral course Medical Imaginaries: Postcoloniality and Gender in the Medical Humanities offers an interdisciplinary investigation of the centrality of gender, sexuality, race, colonial ideologies, social justice, global inequality and class to the medical humanities. The medical humanities has focused largely on how the humanities can contribute to the field of medicine. In this context, attention to literature and the arts has sought to develop and nurture skills of observation, analysis, empathy, and self-reflection, specifically in the arena of medical practice. However, this course seeks to expand the focus of the medical humanities by developing methodologies and analyses that take as their starting point the often-absent issue of unequal historical and contemporary global relations and their gendered dimensions. The goal of Medical Imaginaries: Postcoloniality and Gender in the Medical Humanities is to examine critically the intersecting dialogue between medicine and the humanities, with attention to the changing needs of health care in specific local and transnational contexts. In this context, we will analyse the role and ethics of medicine, as well as explore the relationship between health, illness, wellbeing and social justice. The course aims to interrogate the very meanings of health, illness and care through an analysis of how technologies are increasingly integrated into the human form, how human parts move between bodies, how environmental disasters impact on health needs, and how we might conceptualise the changing experiences and understandings of the body. With a focus on postcolonial and gender-based methodologies, this course will engage with a wide range of disciplines that cross the humanities, social sciences and medicine, and include the participation of academics, practitioners, artists and independent researchers. Such an interdisciplinary and transnational approach has the goal of creating a space to discuss critically how biomedicine is transforming the human condition and form, and to allow for in-depth analyses of health, illness and care in the context of global migrations, gender inequalities, and inequitable distribution of global and local resources. How do we conceptualise the relationship between the humanities and medicine when we consider the gendered and colonial dynamics of health, care, illness and wellbeing? What is the relationship between art, the clinic and social justice? How are bodies and technologies imagined across a range of sites (e.g. visual and literary culture, the media, or in medical school)? How do we understand and conceptualise the body in a rapidly developing technological era? What methods can we use to do interdisciplinary research? Medical Imaginaries: Postcoloniality and Gender in the Medical Humanities will be of interest to anyone working in the broad field of the medical humanities, and to those who work on topics that relate to the intersection of the humanities and medicine. Importantly, participants should be interested in critically engaging with the medical humanities and in exploring these ideas through postcolonial and gender perspectives and methodologies. The course is open to advanced MA-students, researchers, PhD candidates and postdoctoral fellows, as well as to artists, practitioners and activists.